Having released four full length albums framed around more ‘‘song’ orientated spheres, Melbourne artist Francis Plagne has concurrently moved around collaborative endeavours with Andrew Chalk, Joe Talia and Crys Cole. 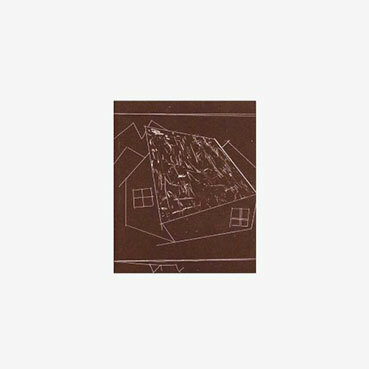 He was also a part of that Food Court record released on Graham Lambkin’s Kye label in 2014. Which brings us to Moss Trumpet. Plagne’s first solo album which exclusively orbits a more abstract domain. Taking inspiration from Costin Miereanu’s Luna Cinese this gentle curiosity records the private use of flute, harmonium, keyboards, microphones, organ, paper, percussion, recorder, synthesizer, tapes, tuba, voice, whistle and zither. Like Miereanu’s master stroke these recordings were then collated in semi-random layers creating shifting beds of subtle startling sound. Moss Trumpet is a timeless affair, warm and woozy as if it is drifting over two sides where each could be either, where the audio perpetually falls in on itself creating a bed of sound inexplicably eschewing standard movement and progression as it unfolds out and around the listener. Artwork by John Nixon. Mastered by Joe Talia.